The most widely used vitamin and mineral supplements do not prevent cardiovascular events or prolong life, according to systematic reviews and meta-analyzes that included 179 randomized controlled trials. Note that these are the only nutrients with significant benefit folic acid, which was associated with a lower overall cardiovascular risk and fewer strokes, and B vitamins with folic acid, B6 and B12, which were associated with a reduced risk of stroke  Most commonly used Vitamin and mineral supplements do not prevent cardiovascular events or prolong life, with the exception of folic acid and B-complex vitamins, after analysis of systematic reviews and meta-analyzes. Multivitamins, vitamin D, calcium and vitamin C, along with less commonly used selenium, all showed no consistent benefit for the prevention of cardiovascular disease, heart attack or stroke, or for delaying death for any reason, whether humans were deficient were or were not, reported David Jenkins, MD, from the University of Toronto and colleagues online in the Journal of the American College of Cardiology . 2, which were associated with a reduced risk of stroke. Jenkins and colleagues wrote that their findings confirm the USPSTF conclusions that most supplements for the prevention of cardiovascular disease have not been well established. However, B vitamin complexes were not specifically considered in this report. It is now clear that B-vitamin therapy prevents stroke, commented J. David Spence, MD, from the University of Western Ontario in London, Ontario, in an email to MedPage Today . "In the early trials of B-vitamin therapy for stroke prevention, the harm of cyanocobalamin in participants with impaired renal function obscured the benefit of B vitamins."
." In countries [e.g., North America] where folate fortification is the norm, the main reason for being elevated Homocysteine ​​the metabolic vitamin B12 deficiency that is often overlooked In these countries, it would be important to use methylcobalamin (not cyanocobalamin) to achieve the benefits seen with folic acid in the large Chinese study, "Spence concluded. Researche rs noted that dietary supplements, formerly used to treat vitamin and mineral deficiencies, are now also being used to remedy subclinical deficiencies and allegedly promote overall health and longevity. Nonetheless, the official recommendations focus on meeting nutritional needs – generally high in fruits and vegetables, low saturated fat and trans fat – and not by supplementing them. 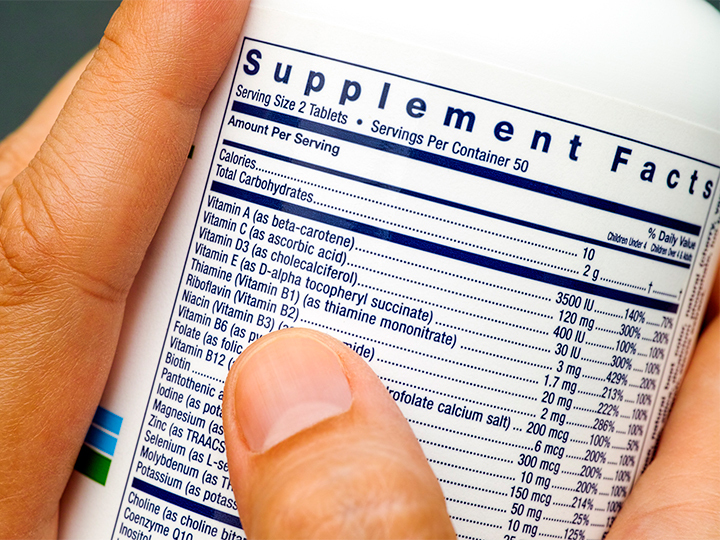 National Health and Nutrition Examination Survey data (1999-2012) on 38,000 adults showed that in 2012, up to 52% of the population consumed supplements, including 31% multivitamins. For the review, the group considered 179 randomized controlled trials on the use of vitamins and minerals published between January 2012 and October 2017 to include data released before and after the USPSTF analyzes. Jenkins said to MedPage Today that "they look pretty harmless – if any – an advantage that could show in future research, and while we learned from the Chinese study that folate is protective for stroke We were able to measure people for deficiency of folic acid, B12 and B6, it is possible that folsupplementation could be helpful if they are deficient and have a stroke risk rating is too useful in the elderly – I'm keen to take measurements and then treat them. " While the results are reassuring, Jenkins warned that the CSPPT trial was conducted in China, where food is not fortified with folic acid North America, where many cereal products are fortified: "More investigations are needed in the North American population, to investigate the impact not just on CVD, but above all on all-cause mortality. " Limitations The review included the exclusion of data from cohort studies that are longer and more representative of the general population than randomized clinical trials. In addition, the grouping of many types of antioxidants may have been suboptimal because their mechanisms of action may be different. This work was supported by the Canada Research Chair Endorsement, Loblaw Cos, and the Canadian Institutes for Health Research (CIHR).